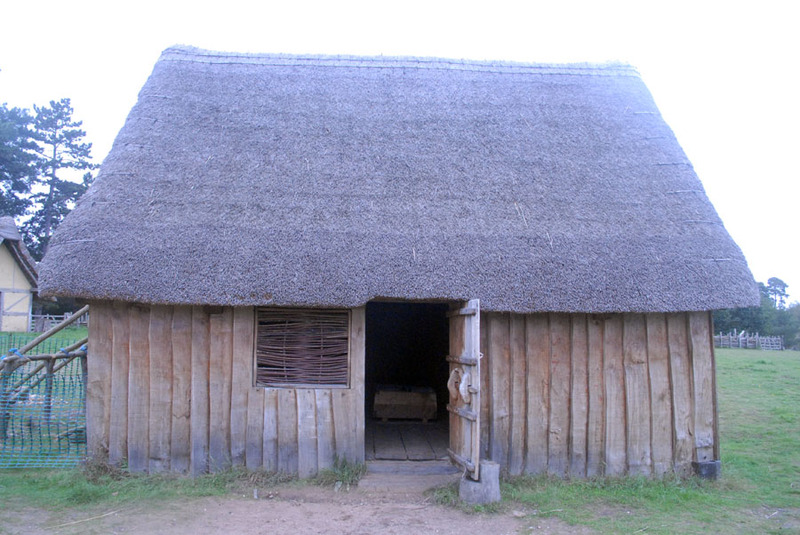 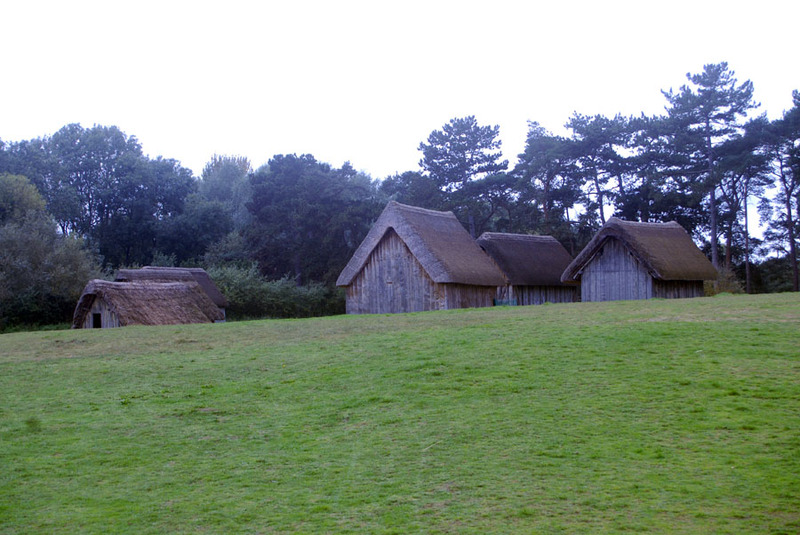 View of the reconstructed buildings at West Stowe (England) and the artifacts in the Museum. 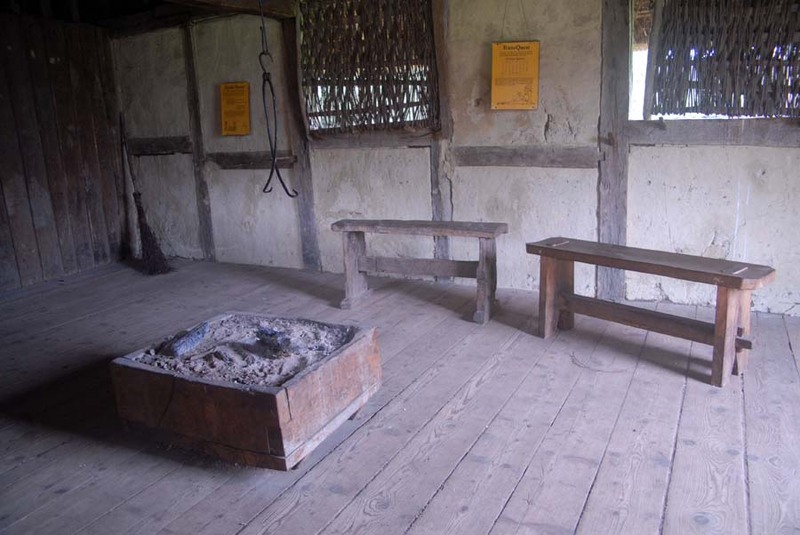 Firebox in center of grubhouse. 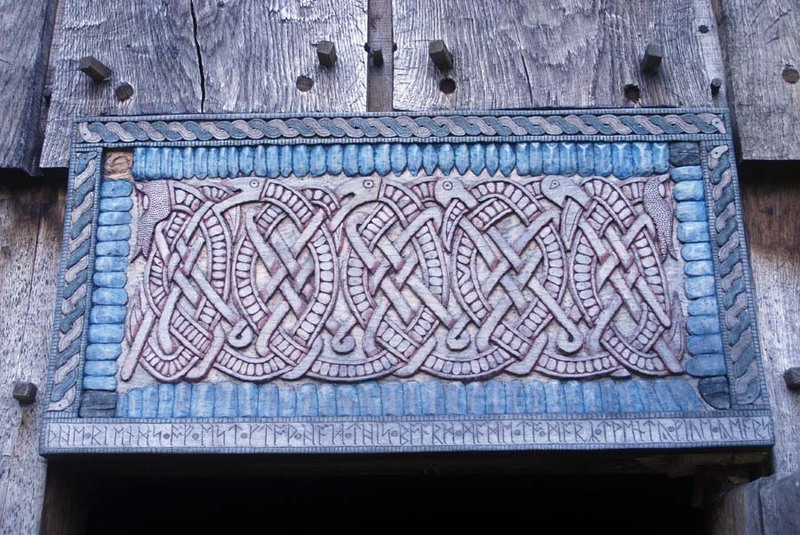 Carved lintel over Longhouse Door. 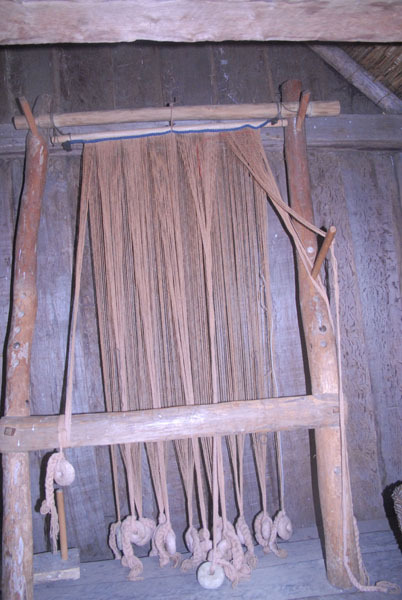 Reconstruction of a vertical loom. 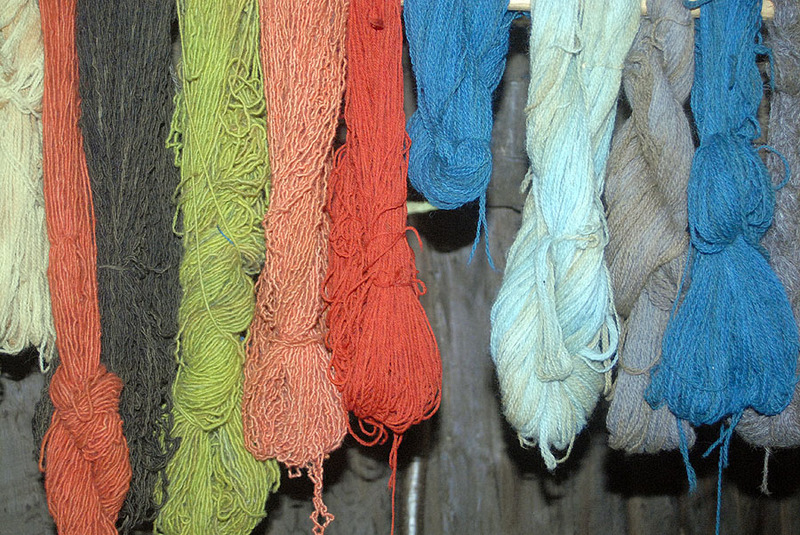 Wool dyed with garden grown and wild plants. 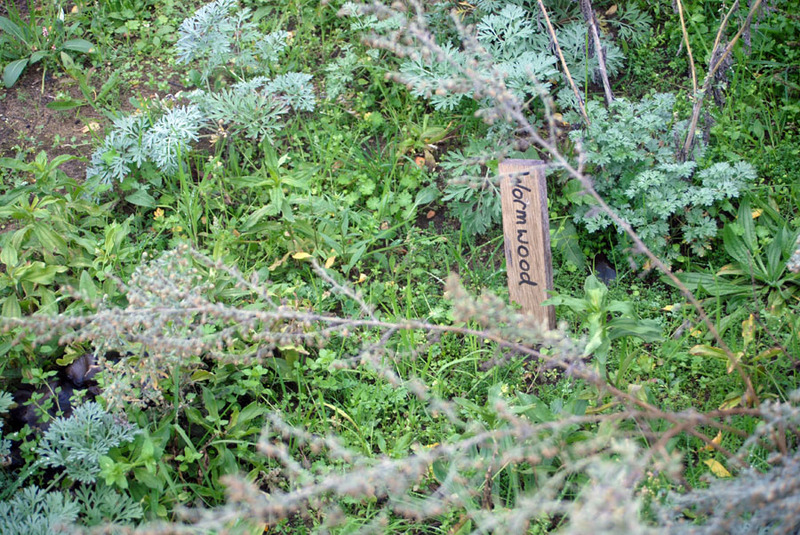 Wormwood herb growing in garden. 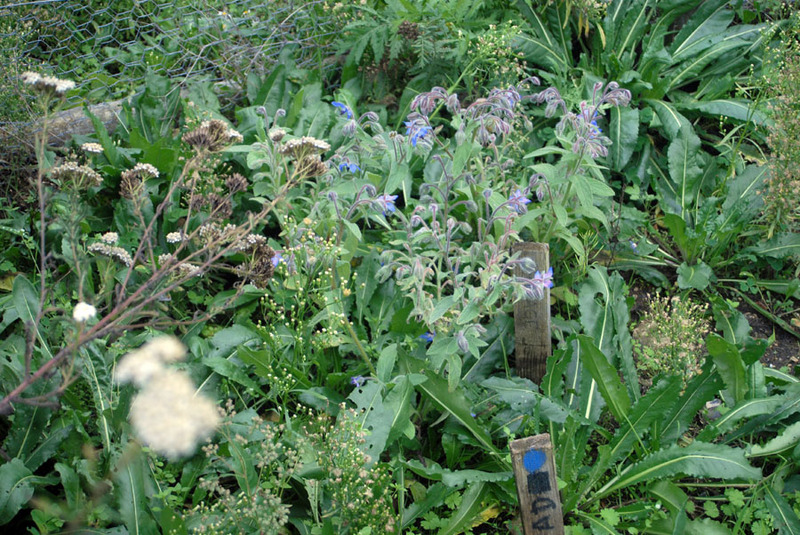 Borage growing in the garden. 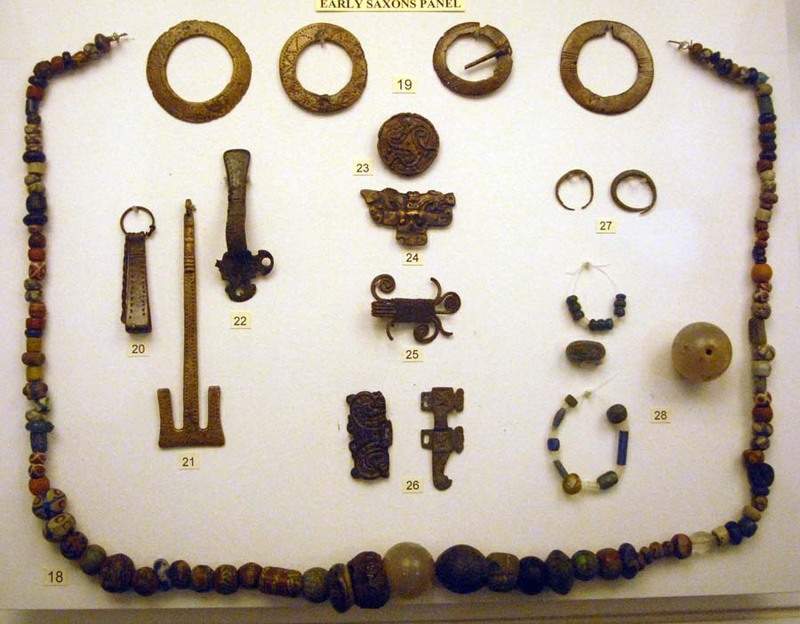 Jewelry, brooches and cosmetic items. 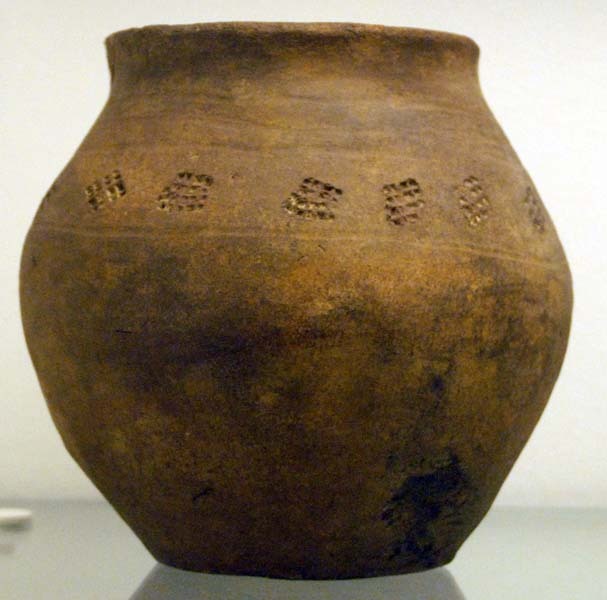 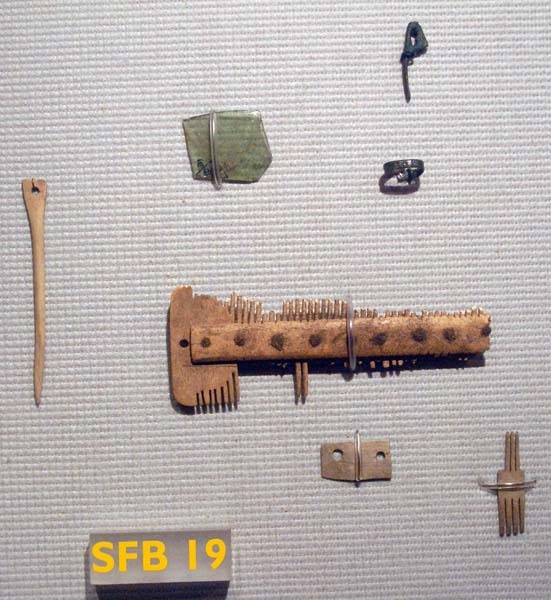 5th century AD comb from grub house 55. 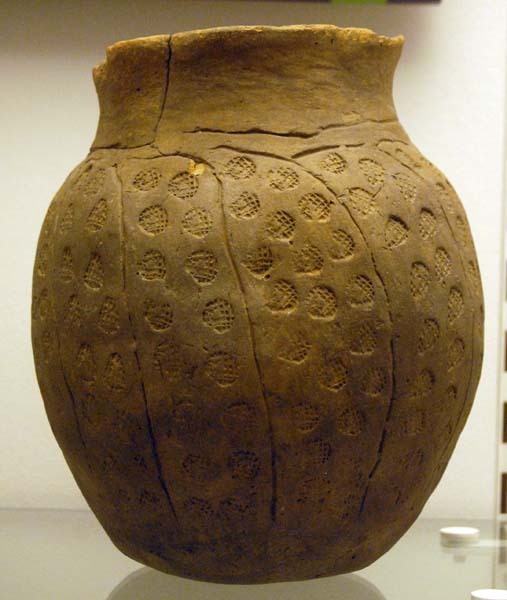 Pottery rimsherd from grub house 48. 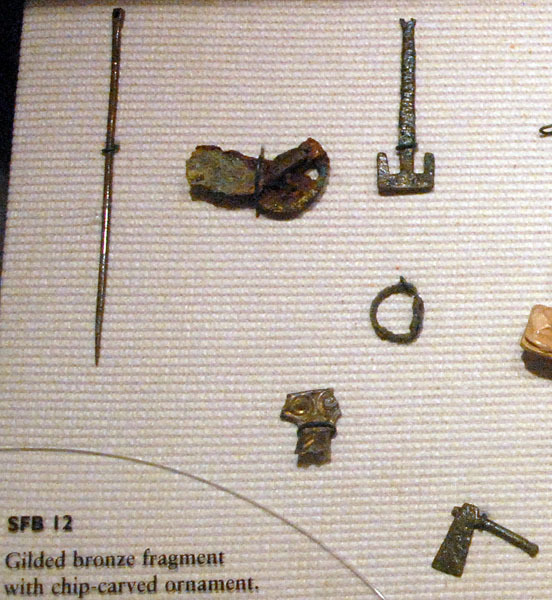 Metal artifacts from grub house 23. 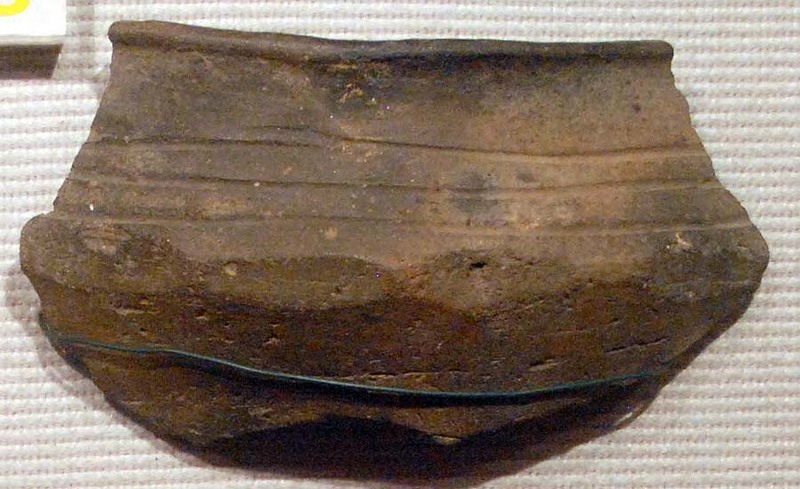 Glass sherd, bone comb, and metal artifacts from hous 19 at West Stowe. 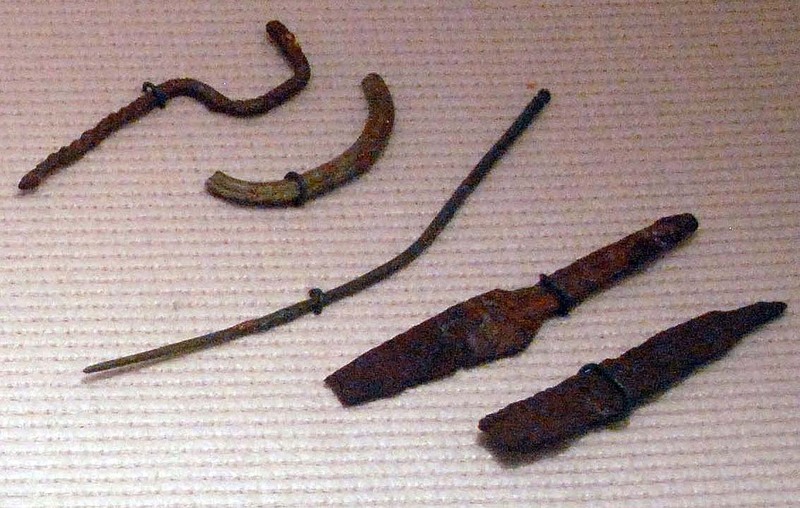 Several metal tools from grub house 12.